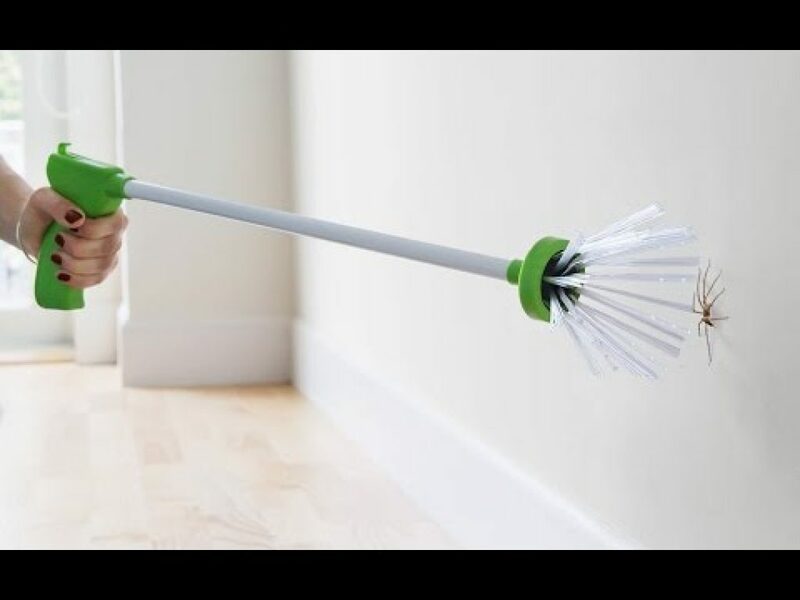 If you want an eco-friendly and fool proof way of getting rid of spiders inside your house this spider catcher is for you. The MyCritterCatcher is a cleverly designed set of special bristles on a stick that you’re able to retract with a handle, making for a harmless and clean way (no splatters!) of capturing any insect. Releasing the handle will set the captured insect free again wherever you please. For the true arachnophobes there’s unfortunately no flamethrower extension to this spider catcher. So, watch out the spider doesn’t quickly escape the bristles, run up the handle and jump in your face to bite you. Yikes!